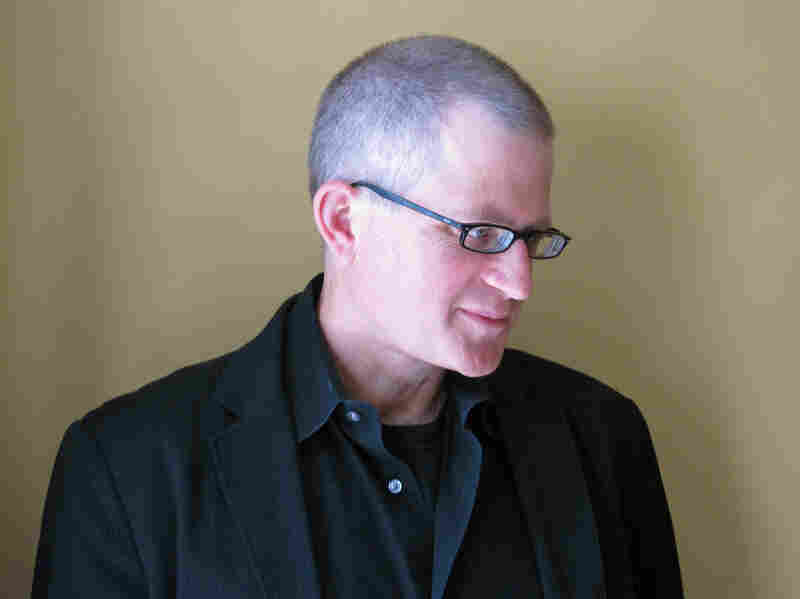 Book Review: 'My Bright Abyss,' By Christian Wiman Christian Wiman's new essay collection, My Bright Abyss, explores his ideas about faith and life during a time of intense crisis — in Wiman's case, a rare and painful cancer. Reviewer Walton Muyumba says Wiman's "intense questioning and dense resolutions are challenging," but ultimately rewarding. Christian Wiman has "a cancer that is as rare as it is unpredictable." A poet and outgoing editor of Poetry, Wiman has found himself, when overwhelmed by the painful disease and pain-inducing treatments, praying not to God or for language to express his condition, but to the pain itself: "That it ease up ever so little, that it let me breathe. That it not — but I know it will — get worse." 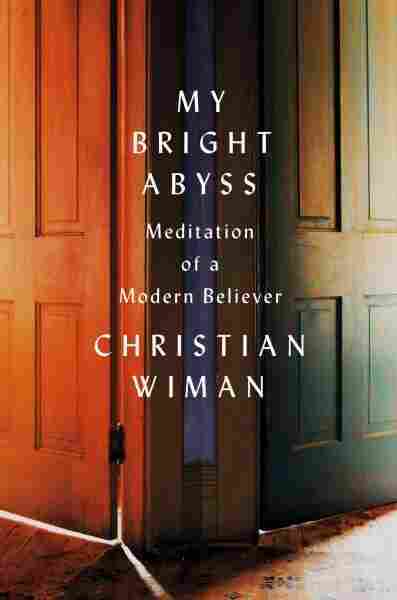 Wiman's new essay collection, My Bright Abyss: Meditation of a Modern Believer, is an exploration of his faith and life in extreme crisis. Noting how cancer's ever-presence has challenged his faith in Christianity, Western philosophy and lyric poetry, Wiman has chosen to plumb his ambivalence (his bright abyss) about all three rather than simply cementing his beliefs. Though Wiman's written a book for readers "as confused and certain about the source of life and consciousness" as he is, his meditations are compelling because he doesn't proselytize, evangelize or encourage conversion. In fact, instead of writing poetry, philosophy or theology — precision-driven forms — the writer has produced essays in order to dwell on his doubts, celebrating and holding at arm's length simultaneously his literary and theological inclinations. "It is not that I am tired of poetic truth, or that I feel it to be somehow weaker or less than reason. The opposite is the case. Inspiration is to thought what grace is to faith: intrusive, transcendent, transformative, but also evanescent and, all too often anomalous ... To experience grace is one thing; to integrate it into your life is quite another. What I crave now is that integration, some speech that is true to the transcendent nature of grace yet adequate to the hard reality in which daily faith operates. I crave, I suppose, the poetry and the prose of knowing." But check out some of Wiman's other titles: "Sorrow's Flower"; "Dear Oblivion"; "God Is Not Beyond"; "Mortify Our Wolves." No doubt, the author's intense questioning and dense resolutions are challenging. He amplifies the daunting subject matter with his toggling among quotations from poets, theologians, novelists and philosophers in search of intelligence that will arouse readers (and himself) out of their habitual thinking on love, partnership, faith, feeling, language and "the ghost called God." In several spots, the author's movements seem too swift and may leave readers stumbling in pursuit. Take "Hive of Nerves," where Wiman shifts rapidly along a chain of quotations from James Joyce's Ulysses to Osip Mandelstam's poem "Tristia" to Charles Taylor's A Secular Age to his own poem "Commute I" as if demonstrating how our "collective ADHD," as he calls it, works. Wiman's attempting to explain that attaining consciousness requires simultaneously relaxation into and resistance to the anxieties that speedy contemporary life produces. Though he claims that "such effort deepens and complicates our initial response [to God and religion]," grasping the author's insight requires perusing these sentences many times. Christian Wiman is an American poet and the editor of Poetry magazine. Yes, the collection demands close attention and rereading, but, thankfully, the essays offer generous rewards too. For example, "Varieties of Quiet" calls Christians to revolutionize their worship by introducing poetry as liturgy, meditation in "focused and extended silences, learning from other religious traditions and rituals," and incorporating language that both negates and asserts God, which may be, Wiman explains, "not simply the only 'proper' means of addressing or invoking God, but the only efficacious one as well." Addressing his young twin daughters near the collection's close, Wiman writes, "My loves, I will be with you, even if I am not with you." His faith in afterlife connection foreshadows twinned claims finalizing his meditations: "We cannot get beyond our lives until we eliminate all notions and expectations of a 'beyond'," and "In the end the very things that have led us to God are the things that we must sacrifice." These are, Wiman suggests, the beneficial revelations that readers gain in their struggling with his complex, paradoxical interpretations. As well, the theological, philosophical and poetic quotations placed throughout the collection, like the one from the late Pulitzer Prize-winning poet, Gwendolyn Brooks, direct readers toward these realizations. In her poem, "God Works in a Mysterious Way," Brooks calls on God to "Step forth in splendor, mortify our wolves, / Or we assume a sovereignty ourselves." Taking up My Bright Abyss, we assume a sovereignty ourselves, relaxing into and resisting Wiman's vision, savoring it and arguing with it, in thought and feeling. Walton Muyumba is a writer and critic living in Dallas. He's the author of The Shadow and the Act: Black Intellectual Practice, Jazz Improvisation, and Philosophical Pragmatism.